Starting a business in another country is very exciting, but the logistics can be taxing. The best way to get through this is to devise a solid plan. You need a business plan anyway, especially when seeking a loan to finance your business endeavor. You also need a solid roadmap to make sure the path to international business success is as smooth as possible. The following are tips that you can use to help you when starting and financing a business in another country. Business laws and practices vary from country to country. Everything from taxation to what is legal and what isn’t varies. If you plan on doing business in multiple countries, you must know the rules and regulations of each one as they pertain to your business. Make sure you look at what it takes to set the business up and investigate the costs. For instance, it can take days or weeks to set up a business in one country, but business setup could take a single day in another. If you must acquire property, do your research and consult with a real estate agent so you are completely in compliance with that country’s requirements. You must know the culture. If you are from the U.S., the culture is much different than that of Japan or the Middle East. Not understanding the cultural differences can hurt a business. You must make sure the market has a need for what you are offering. You also need to be aware of language barriers. Not knowing the language can make it difficult to fit within that country’s business community. You may want to take some short trips to the country first and take the time to learn the basics of the language. Look at the history of asset seizure and make sure you are aware of the political climate. For example, a government could access bank accounts within the country and take a percentage and call it a tax. It happened in Cyprus in 2013. For business owners, their profits were “taxed” without any warning. When the political climate is changing, you need to find out how that will influence your business. Hiring a lawyer is one of the smartest things you can do when starting a business. However, you want to hire a lawyer who is experienced in the country you will be doing business in. The lawyer can reside in the country or be an international lawyer in your home country that can guide you through the process of opening your business. If there is a chamber of commerce or similar organization in the community, you can join the organization so that you can get acquainted with the other business owners in the area. It is good to do this before opening the business so you can develop trusted relationships that will help you. You can’t beat local guidance. It can be very exciting to start a business in another country, but you should remember that the best things take time. Rushing can cause you to make mistakes that are harder to fix than not making the mistakes at all. You must do your research, seek trusted locals, learn the culture, and navigate the pros and cons of doing business in the country or countries of choice. Don’t forget that you will also have to apply for the appropriate documents, such as visas. None of these things come together overnight, so you will need to be patient. Just like in your home country, there is competition within your industry. In addition to market research, you will have to get an idea of how the competition is doing. You also need to find out what they are doing so you can do it better. It doesn’t matter how large or small your business is when there are competitors vying for the same audience. Even if you haven’t moved to the country yet, you can begin building a network. In addition to joining the local business association or chamber of commerce, you can email businesses in the area to let them know you are coming. Email businesses that might like what you offer. Tell them that you can give them something special. Does my business or business idea currently have a solid foundation? Will I be able to find the needed talent in the country or countries where I am locating my business? Will I be able to finance or refinance aspects of my business no matter where I am? Do I know what the local competition is doing? Do I need a partner in the country I wish to locate my business? Do I understand the cultural elements of making a sale in the country I will be doing business? What are the potential problems I could be facing in the next phase? Should I expand my presence online? What does my competition look like online? Always make a list of questions so you know you are on the right track. This is a big tip because you have to make sure you have the financial ability to do business anywhere in the world. You should be able to secure financing no matter what country you are in when financing is needed. For instance, you may be an expat to Japan. You should be able to get a loan to finance the business move. 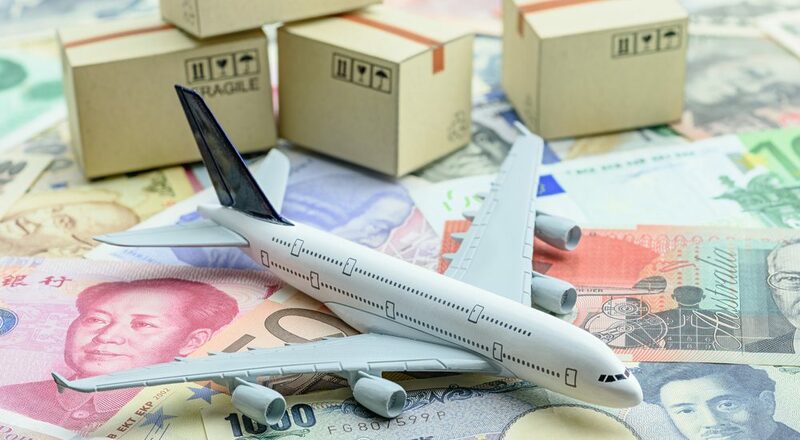 If you will be doing business in multiple countries and have residences in each one as you travel between them, you should be able to finance what needs to be financed. This is especially true when you are getting started and need a financial cushion. One way to secure the financing is to get offers on loans. Instead of visiting a dozen banks in different countries and hoping for a positive result, you can fill out a single application online so that application can be submitted to multiple lenders. This saves you a lot of time and should never cost you a cent. You need lenders to compete when financing your goals, which is what this type of application process does. When lenders compete, you can secure the best deal no matter where you are in the world. You can finance your new endeavor and even refinance old business debts so you can secure better rates. Consider this when starting your business abroad. It’s good to know that there are lenders out there with enough faith in you to lend you the funds you need to make your dreams come true.